MS 150 C-E One of the lightest gasoline-powered chainsaws on the market and includes innovative STIHL features. Great things come in small packages. For chain saws, that means the STIHL® MS 150 C-E. This lightweight powerhead weighs only 6.1 lbs. and is loaded with exclusive STIHL features, including Easy2Start™ technology. 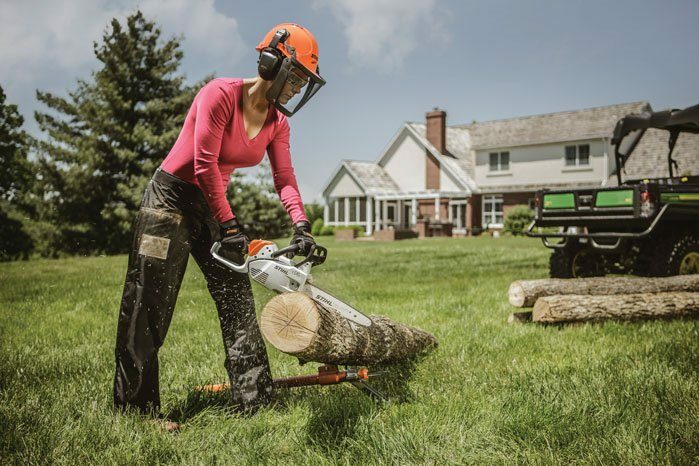 Ideal for landscapers, arborists, tree farmers, or anyone in need of a mobile, low weight saw, the MS 150 C-E chain saw is easy to handle, resulting in less operator fatigue than heavier saws. 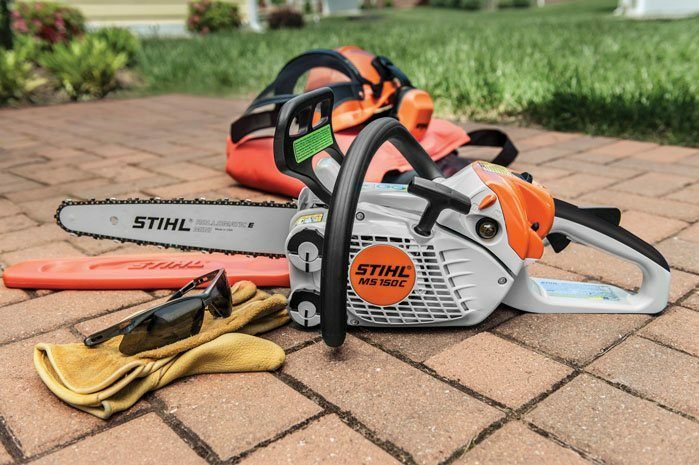 Combined with reduced exhaust emissions and enhanced fuel efficiency as compared to traditional 2-stroke engines, this is how ultra-lightweight chain saws should be made: the STIHL way. SPARK ARRESTER MUFFLER: Large baffles which reduce noise level and contain a screen designed to reduce the emission of sparks. MASTER CONTROL LEVER™: Single lever operating the choke, starting throttle lock and on-off switch.